You may not agree, but first, hear me out. A good loss is better than a bad win. For starters, winning is born in your brain and hatched in your head. You can’t teach mental toughness; it’s something that you have to learn on your own. And sometimes, you learn by losing. You have to get tired of losing when you shouldn’t before you can weather the storm and win when with a weak mind you otherwise wouldn’t. You have to know you’re going to win before the game gets going or you’re doomed from the jump. And you have to hold your head up, dust yourself off and somehow still make headway even when you lose a big lead. Second, the true test of a champion is how you react to adversity. It’s easy to be excited and elated when your shots are falling and the crowd is cheering and everything is going your way. But what do you do when the chips are down and the jig is up and your shots don’t fall and nothing is going your way? A good loss is better than a bad win because you learn more from a loss than you do from a win. That being said, you play to win the game. Right? So if you lose, the loss should be a motivator and an instigator; a loss should be motivation and inspiration to fuel the fire for the following fight. A good loss is a loss littered with lessons and logic for life. A good loss is chock full of coaching and counsel and advice and admonition. A good loss is full of teaching moments; it’s full of testing and training, and instruction and induction for living better and winning bigger. You can learn a load from a good loss. A bad win is a win won without merit or without warrant. It’s a win that belongs to someone else. It’s like kissing your sister or stealing from your mother; you just know it’s not right. You won but you know you shouldn’t have; you won but you know it was fool’s gold. A bad win is not sustainable. Meaning, you couldn’t duplicate it if you tried one hundred times. 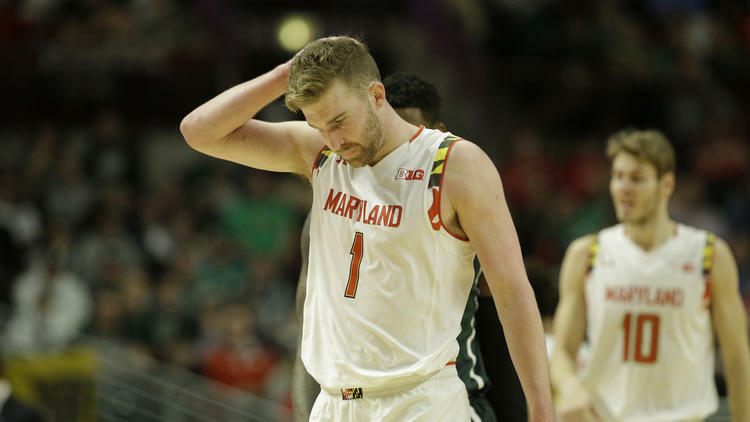 My Maryland Terrapins Men’s Basketball Team just notched a good loss. They started fast and finished slow, and hopefully learned that the game is not won in the first five minutes. It’s takes a team playing as a unit and working together as a trained troop to pull out and pull off a win. And against Michigan State in the semi-finals of the 2015 Big Ten Tournament, that just didn’t happen. So while I’m mad we lost, I’m glad we didn’t win. Not playing like that. With the game on the line, the stars played poorly and the supporting cast didn’t pick up the slack. Worst still, they let Michigan State get in their head. And that made me mad more than the loss itself. Hopefully, the Terps learn from this what it takes to win on the road in a hostile environment. Winning is as much if not more mental than it is physical, and the sooner we all learn that lesson the better.